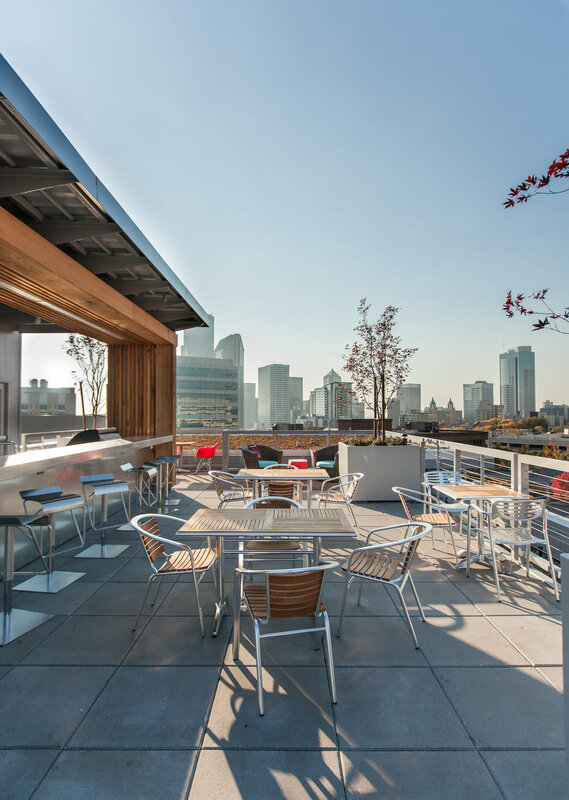 A generous roofdeck provides several amenities for the residents of Barclay on Broadway. A covered outdoor kitchen and BBQ, firepit, tenant gardening planters, and outdoor seating areas give a variety of uses year-round. 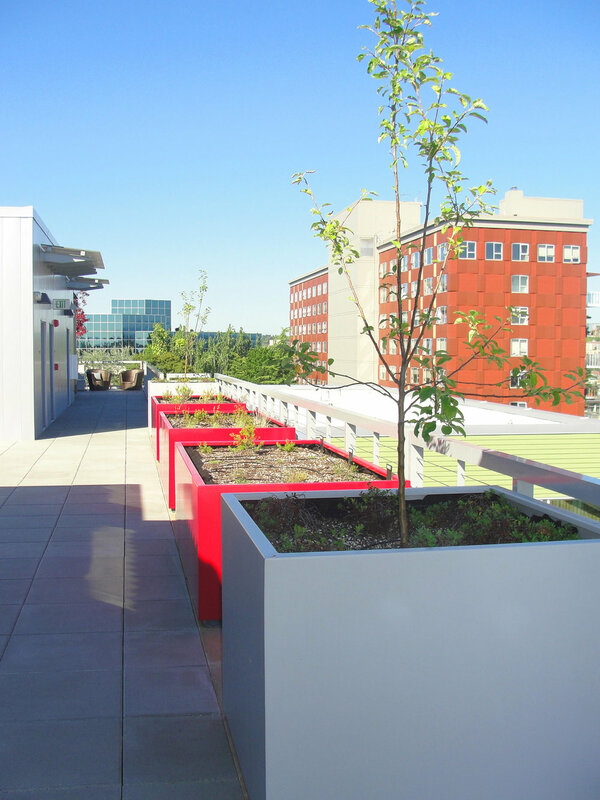 Large areas of greenroof, in contrasting lime green and red colors, stand out against the cityscape. At the ground level, the building is pulled back to create more space for pedestrians in this vibrant area of the First Hill neighborhood. Barclay on Broadway achieved a LEED Platinum rating.